These are all good maxims to live by. Good maxims to apply to insurance as well. When an event occurs quick response up front can save time and money during reconstruction. 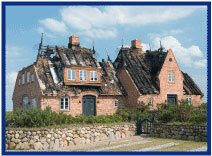 AIG offers this example I call "An adjuster in time saves time." A policyholder's 32,500-square-foot residence—designed to resemble a modern-day castle—sustained significant fire damage. AIG's adjuster was there within hours of the fire being reported and monitored the scene during the two days it took to extinguish the flames. At one point, the fire chief had a bulldozer brought to the site and wanted to tear down the limestone exterior. Staying directly involved enabled the adjuster to discourage demolition and collaborate with the fire chief to find a different approach. As a result, the stonework was saved and the rebuild time was reduced by several months. See more examples of the exceptional service your clients can get from AIG Private Client Group. AIG's Private Client Group homeowner coverage is available for dwelling replacement cost coverage valued at $750k or more with a minimum of two lines of business. The AIG Program is available to registered BIM members in all states. Log into Big "I" Markets to learn more! We were saddened to learn last week of the passing of Caliper Founder and CEO Herb Greenberg. Caliper is one of our oldest Big I Advantage partners and Herb was a personal friend. He was truly and personally committed to helping independent agencies through strategic insight and advice. Caliper has helped countless agencies find the best producers with their innovative assessment tools and consulting. Our relationship with Caliper has spanned decades and is one of IIABA's oldest partnerships. You can read more about Dr. Greenberg's life and significant achievements at this link. Most high school students just need a car that will get them around town. Short trips, not too far from home, a decent clunker with vinyl seats will do for most. A college student, especially one that that is out-of-state needs a more reliable car and will also seek a little more than just something that will get them from A to B. Something with a nice sound system, A/C, and a nice interior with cloth seats. 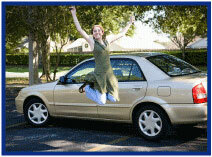 A career person or business owner will need an even nicer car. 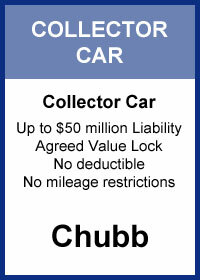 New or at least newer model, more amenities, GPS, satellite radio, and leather seats. It's the same with business insurance. As a business grows, its coverage needs and limits will change in much the same way. Risks and exposures change or increase in size, requiring expansive and more complex coverage. 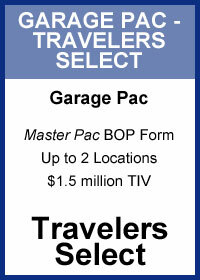 Travelers Select already had the Master Pac and Power Pac Endorsement line of products. Now they introduce the Power Pac Premier Endorsement with increased limits and new coverages. The Power Pac Premier Endorsement is available for the Travelers Select line of products. 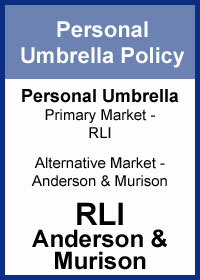 Check out www.bigimarkets.com for more information and state availability. February 1. "First Monday LIVE!" a free monthly webcast hosted by the VU's own Bill Wilson and guests on the first Monday of the month, to discuss the wide world of insurance. Each 30-minute webisode will cover "what's going on" (drones, car sharing, concealed weapon laws, legalized marijuana, legislative issues) and the implications along with hot topics, your feedback and more. The inaugural broadcast will discuss "price optimization or price gouging?" and have time for audience Q&A. Click here to learn more and register. 1. Cymmer Castle in Wales has what ignominious distinction? 2. The first after-market air-conditioner (and heater) for automobiles was offered in 1933. What manufacturer first offered it as a feature in 1939? 3. 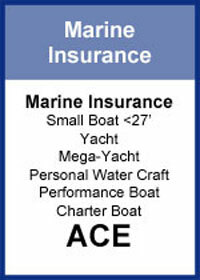 What is the first coverage listed that is only available in the Premier Endorsement? On this date (1/29) in 1936 the Baseball Hall of Fame elected its first inductees. Name all five of them. Congratulations to our agent in Ohio on a bid bond sale of $50,560 in premium!